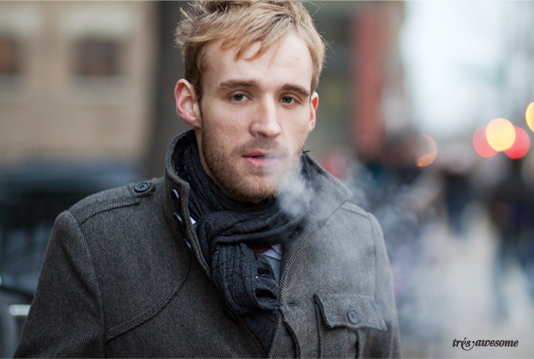 No one smokes anymore. Except wait, a lot of people still do. What I mean to say is that it's not like the "good" old days when you could smoke in hospitals and on the bus. After the FDA cracked down on the way tobacco companies advertise, the only people you see smoking on tv or in the movies are the bad guys. Which makes this stylish gent look downright evil (or french). In actuality he was nothing but delightful during the time I spent taking his photo. He was also very American, or at least he hid his accent well. 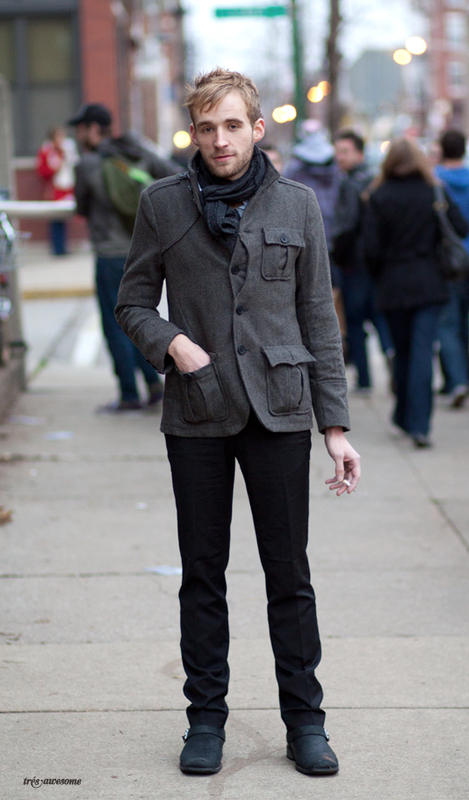 This Chicago street style fashion was taken in Wicker Park. He was definitely a site to behold. Thanks for the comment! In the lost vein of Marshall McGearty's (may they rest in peace), we're bringing the smoke back to the Wicker Park. Organic Tobacco. In your neighborhood.